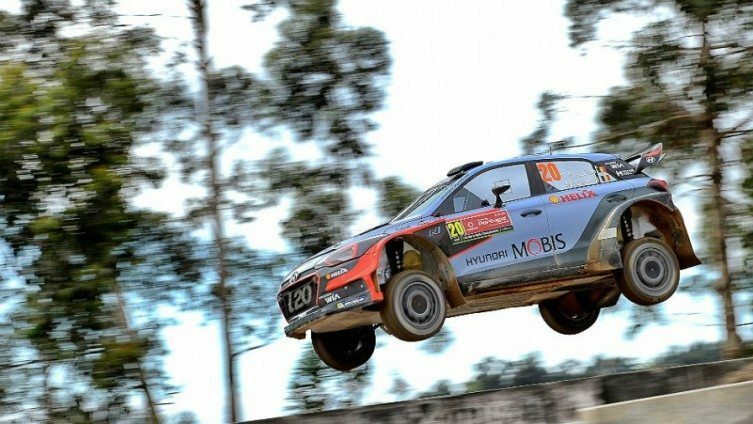 THIERRY Neuville was fastest in Thursday morning’s shakedown at Vodafone Rally de Portugal as Hyundai claimed the top two times. The Belgian was 0.3sec quicker than i20 World Rally Car teammate Dani Sordo through the 4.61km Baltar test, with Ott Tänak completing the top three in a Ford Fiesta RS, 0.1 sec. further back. Tänak, using DMACK’s new British-built tyres for the first time, was fastest through the opening two passes of the test on soft compound rubber, WRC.com reported. However, Neuville moved to the top of the timesheets on the third of his four runs. Kris Meeke, returning to WRC action for the first time since February’s Rally Sweden, was fourth in Citroën’s DS 3 with Volkswagen Polo R duo Jari-Matti Latvala and Andreas Mikkelsen tied in fifth, just t0.2 sec. behind the Briton. Rally Argentina winner Hayden Paddon of New Zealand came in seventh. None of the leading World Rally Car drivers suffered major problems, but in WRC 2 season debutant Scott Pedder of Australia rolled his new Skoda Fabia R5.